SuperValu managing director Martin Kelleher said the decision “had not been made lightly”. 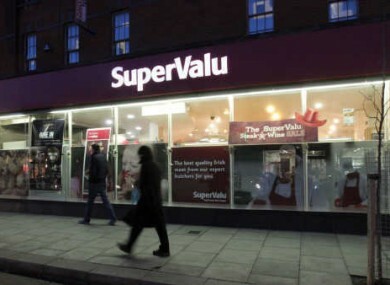 AROUND 100 JOBS are to go as SuperValu closes stores in Carlow and Clonmel. The company says that the closures are “due to difficult trading conditions over a sustained period”. Both will close on 22 January, leading to a combined 98 redundancies. SuperValu managing director Martin Kelleher said the decision “had not been made lightly”, but both stores had been loss-making for almost a decade. Unions Mandate and Siptu both said the staff were devastated. These jobs were comparatively good retail jobs that provided workers with decent work and secure incomes. Unfortunately there are very few alternatives at this moment in time, partly because the southeast of Ireland has become an unemployment black spot. Siptu’s Derek Casserly said the timing of the announcement stung. Email “Almost 100 jobs to go as SuperValu closes stores in Carlow and Tipperary”. Feedback on “Almost 100 jobs to go as SuperValu closes stores in Carlow and Tipperary”.